In conditions starkly contrasting those of of the first leg. United confirmed their passage into the second round but were unable to improve on their first leg result. The Maltese, strengthened by the appearance of their two overseas stars, Ivanov from Bulgaria and Gutman from Argentina, proved equally committed to maintaining the score to respectable levels and presumably they regarded the 3-0 reversal as success! 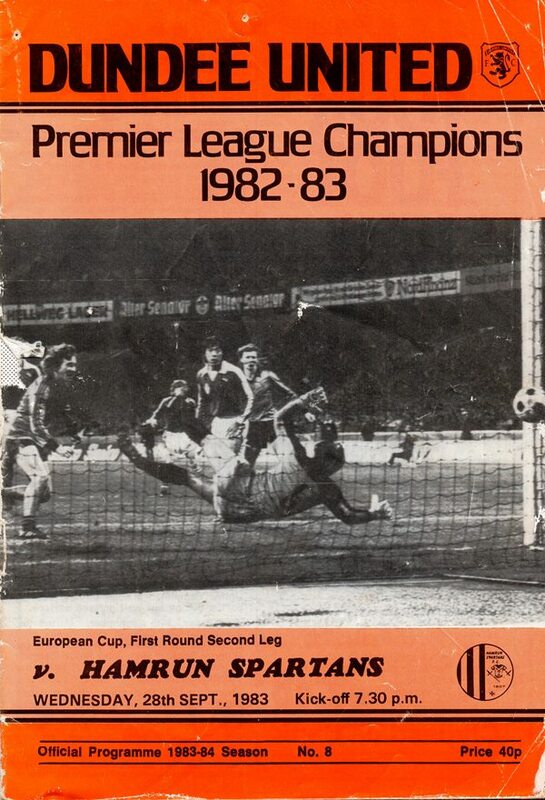 The first goal didn't come until the 28th minute when Ralph Milne's strike from an Eamonn Bannon corner was slightly deflected on its way into the net. A minute from half-time Billy Kirkwood scored in like fashion with a 20-yarder. 40 seconds after the restart Ralph Milne extended the aggregate lead to 6-0. A fortnight ago. In the national stadium, Malta, another chapter In the club's history opened as we made our debut in the European Cup. 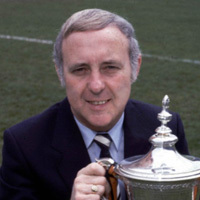 Everyone at Tannadice is very excited concerning our participation in the premier European tournament, and after a fairly long apprenticeship in the U.E.F.A. Cup, we are extremely hopeful of a lengthy run in this competition. 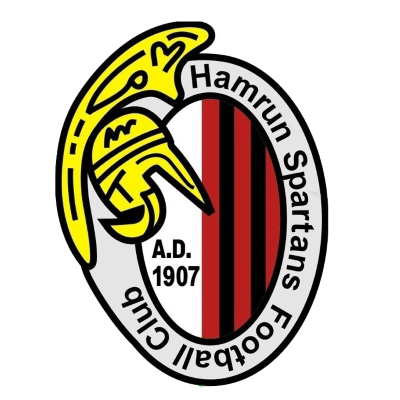 There was a time when I believed that there was no such thing as an easy tie In Europe, but I have to be honest and say that our pairing with Hamrun Spartans must rank as the least demanding I have experienced in nine European campaigns since joining the club almost 12 years ago. In saying that, I have no wish to offend the Hamrun officials, who were so amiable and went out of their way to ensure our stay in Malta was a highly enjoyable one. Tonight, you will possibly witness a new concept in defensive football. I expect to see all eleven Hamrun players not only in their own half but, at times, encamped in their own penalty area. Hopefully my assessment will prove to be wrong and Hamrun will come to make this evening's tie an enter. taining one for everyone here. Unfortunately, success for Maltese clubs in Europe is based only on the respectability of the final scoreline. 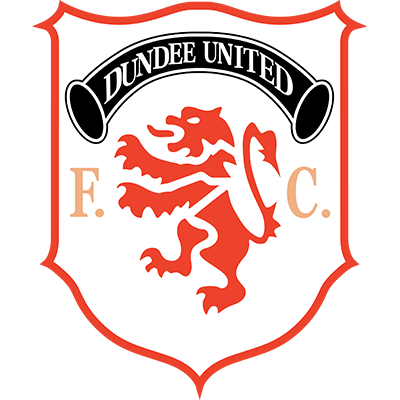 At the time of penning these notes it is our earnest hope that Paul Sturrock will be fit enough to take pan at some stage of tonight's match and thereby put an end to the run of bad luck with injuries that he has experienced since the start of the season. After a relatively easy openihg to the season, staning last Saturday at Pittodrie we face a demanding and challengfrig programme with Rangers and Celtic our next league opponems. A fully fit Paul Sturrock would, therefore. give everybody a welcome boost for what, even at this stage of the season, could prove a vital period in the defence of our title. In extending a warm come to Hamrun Spartans, I trust they will enjoy their visit to Scotland equally as much as we did in their country. Unfortunately, we cannot guarantee similar temperatures but hopefully we will match the hospitality afforded to us by Hamrun in Malta.